Committed to improving and maintaining the oral health of our Richmond Hill patients, our family-friendly dentists at Expressions Dental Care provide a comprehensive range of dental services all under one roof! At Expressions Dental Care, we strive to help our Richmond Hill patients achieve optimal dental health via preventive dental care. At Expressions Dental Care, our family-friendly dentists provide general dental services for patients. From teeth whitening to veneers and more, Expressions Dental Care's cosmetic dental services help patients achieve the smile they've always wanted. We offer Invisalign® clear and removable aligners for who wish to straighten teeth, correct structural problems, and improve the overall aesthetic look of their smile. Our dentists at Expressions Dental Care are always readily available to provide urgent dental care for patients in Richmond Hill and the Greater Toronto Area. 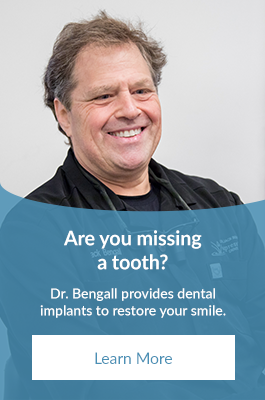 From dental implants to wisdom teeth removal, we provide our patients services to keep their smiles healthy and strong. We provide a range of dental services to meet the oral health development needs of children. We make it our priority to ensure each and every one of our patients are comfortable, relaxed, and calm when undergoing dental treatment. We provide mouth guards to protect our patients' smiles from injury, physical harm, and clenching and grinding habits. At Expressions Dental Care in Richmond Hill, we believe the use of modern dental technology and early detection tools are key to optimal oral health.